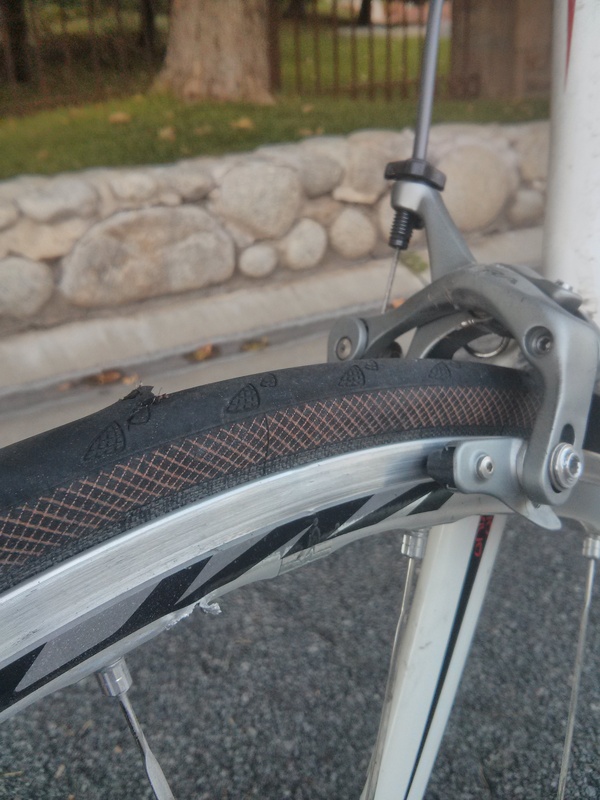 Today I was out on a short bike ride when I heard a pop and felt air rushing past my leg. I knew right away that my tire had just busted. When I looked I was surprised to see not just a hole in my tire, but a hole in the rim. I have never seen something like that happening before. Any ideas? 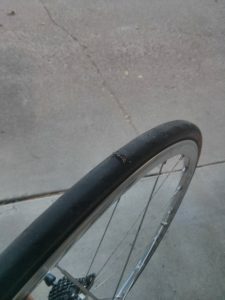 I had just changed a tube before I went out on a ride. 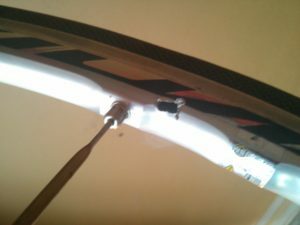 It had a puncture on the outside of the tube. I didn’t find anything inside the tire that may have caused it. I aired the tires up to 120 psi. I had only been riding a few miles when this happened. These wheels are Mavic Ksyrium Elite. Going to be an expensive replacement.